Whether you are buying or selling, you won't find a more accessible, hard-working team committed to assisting you. We love working together and have built our real estate business to be one that delivers an exceptional level of service by listening to our clients and focusing on their needs. 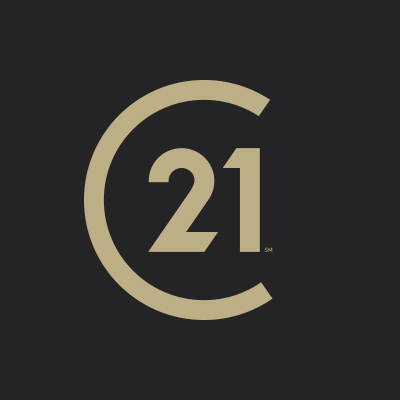 Ranked as "TOP PRODUCERS" at Century 21 East Lake, this highly successful track record of unquestionable performance consistently garners us the "Century 21 Centurion Award", given to the top 3 % of Century 21 agent's world wide. 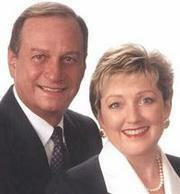 In 2006 we were awarded "Centurion Honor Society" in recognition of outstanding achievements acquired by only 1% of Century 21 agents. No strangers to new beginnings, we moved to Florida in 1991 after many corporate moves throughout the United States. After Stan's retirement from Eastman Kodak, we joined together to do what we love most, helping people and sharing time together. As residents in East Lake for the past 18 years, we fully understand the value of property in our communities. As a Vice President of Kodak's Health Sciences Division, Sales and Marketing, Stan was principle negotiator for contracts with national HMOs. He has an acute business sense and enviable negotiating skills. Cindy is a second generation Realtor who grew up in a real estate family where her mother owned and operated her own office. First licensed in 1985 in New York, she has worked in a variety of capacities with developers and contractors. When looking for a home, we will be your eyes and ears to help you seek out the perfect property and, more importantly, help you in the purchase process by providing an unbiased market analysis for the home that you choose purchase. And when selling your home, you can feel confident that we will carefully and thoroughly evaluate the market and advise you on your options in pricing your home and preparing it for sale. We utilize aggressive and innovative marketing tools to expose your property locally, nationally and internationally. In today's Internet connected market, your property will receive the high quality exposure critically necessary to attract qualified buyers. Our goal is to guide you through a real estate transaction with the least amount of stress and by having two full time, professional agents, plus a talented team of support, there is no one that can give you more attention in reaching your goals. We are dedicated to providing you with a level of service beyond your expectations. Service Areas Specializing in residential sales for Pinellas, Pasco and Hillsborough County including the East Lake Corridor, Palm Harbor, Tarpon Springs, Oldsmar, Dunedin, Safety Harbor along with the beautiful Clearwater Beach and Sand Key areas.